New Zealand is recognised as the seabird capital of the world due to its location in the South Pacific Ocean. The Tasman Sea lies between Australia and New Zealand. Lattitude 47º south and longitude 168º east cross over Stewart Island. Rich subtropical and sub-Antarctic waters mix around our shores, bringing nutrients that support marine life, including sea birds. 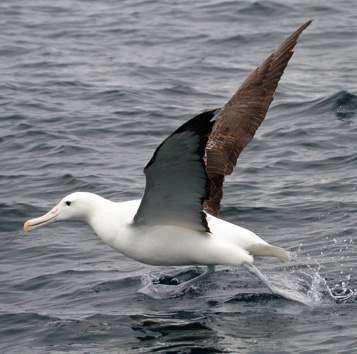 Seabirds are also attracted to fishing boats and with commercial fishing taking place in Foveaux Straits between the South Island and Stewart Island, it is not unusual to see fifty or more albatross (usually mollymawks) surrounding a fishing boat. During the breeding season, it is often juveniles or non-breeding birds that are prominent. 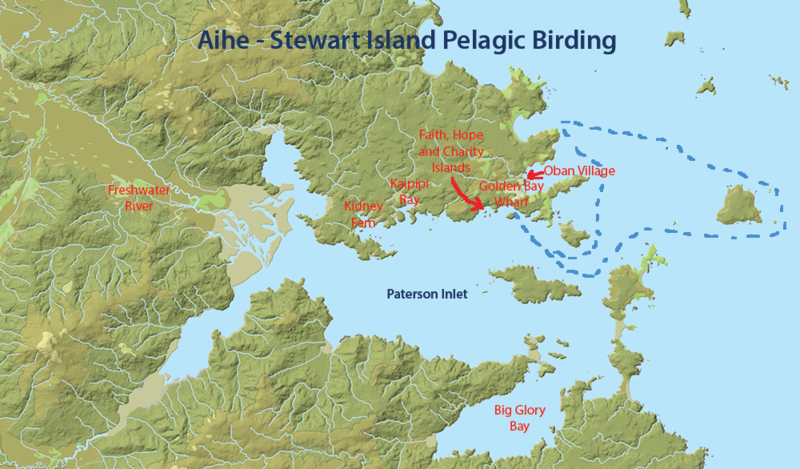 Take an Aihe - Stewart Island Pelagic Birding trip to view a variety of albatross sweep and glide over the sea. 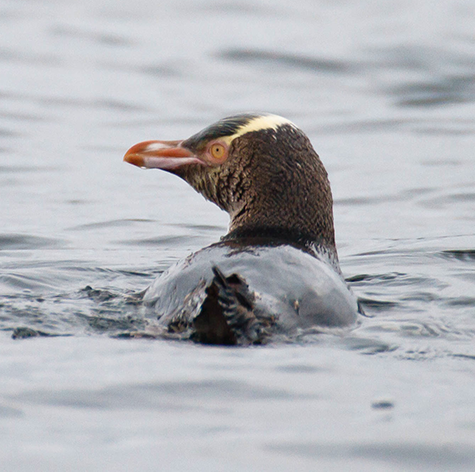 Seek out petrels including the northern giant petrel, prion, shearwaters, terns, skua and penguins, including little blue, rare-yellow-eyed and Fiordland crested and several species of cormorants. Seasons and weather affect what we see. Additionally, we view New Zealand fur seals and if present dolphins. Enjoy some excellent photo opportunities. See our new Aihe Eco Charters & Water Taxi brochure. The map below shows the area of travel. We cruise out of Paterson Inlet, into Foveaux Straits to nearby islands and may visit some of the north eastern shoreline of stewart Island. Tour Cruise through Paterson Inlet to Foveaux Straits to nearby islands. 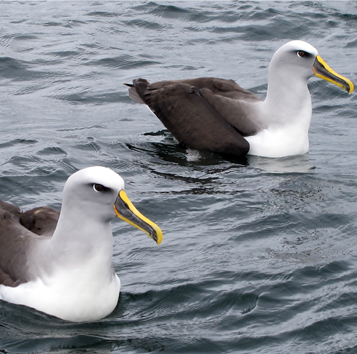 Look out for and view seabirds including majestic albatross, petrels, prion, shearwater, skua, penguins and cormorants. Enjoy some excellent photo opportunities. Southern royal alatross, white capped mollymawk, Buller's mollymawk, Salvin's mollymawk, northern giant petrel, sooty shearwater, common diving petrel, cape pigeon, white fronted tern, little blue penguin, yellow-eyed penguin, Fiordland crested penguin, , Stewart Island shag, spotted shag, pied shag, little black shag, pied and black phase oystercatchers, bottle-nosed dolphin, fur seals. Cost Adult $145.00 p.p. Child $115.00 p.p. Conservation We donate $1.00 p.p. per tour into our conservation fund. Maximum 8 persons. Please note, we can arrange a larger vessel for bigger groups. Children Suitable for children from 10 years. Available All year round, subject to demand and prior booking. May to August: 9.00 am to 12.00 noon. Departure / Return Point Golden Bay Wharf: 10 - 15 minutes walk from the centre of Oban Village. Licensed shuttle service available if required $6.00 p.p. one way or $12.00 p.p. return to and from Golden Bay Wharf. Fitness Ability to get on and off boat. No walking involved. Subject to our availability, tour times can be altered to fit your travel arrangements. Please enquire if you are only one or two persons as we may have others already booked. As this tour is in a small boat, it only operates in suitable weather and sea conditions. For enquiries or further information, contact us. © Copyright 2015 - 2018 Aihe Eco Charters & Water Taxi.